We know that HMD Global has a wide portfolio of Nokia smartphones (some would say too wide), but in terms of accessories the situation might be completely opposite. Remembering the Lumia days, Nokia was announcing a lot of colorful accessories like wireless chargers, portable chargers, speakers, etc. (but with limited availability), and HMD hasn’t been keeping up with that tradition. At an event last month when the Nokia 7.1 was announced, HMD introduced two new accessories that could be great companions for your Nokia device and could be a sign of more investing into accessories in the future. We saw the Nokia True Wireless Earbuds and Pro Wireleass Headphones priced around €120, and €70 respectively. The True Wireless Earbuds could be described as Apple Earpods competitor, but with a better design and lower price, and can’t wait to test them. 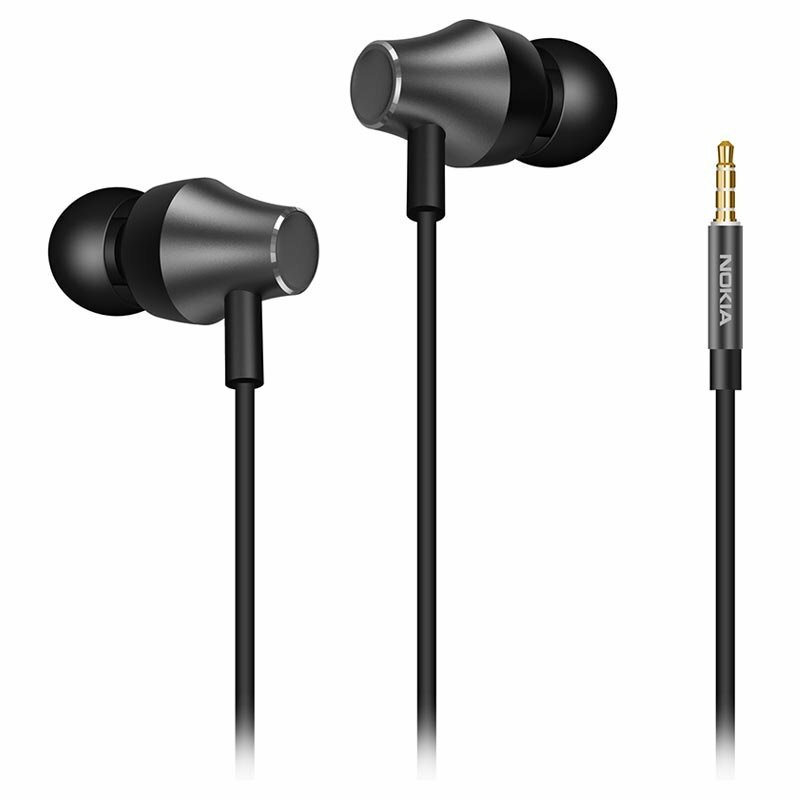 The newest addition to Nokia’s headphones family might be the Nokia WH-301 Stereo Earphones. Nokia Mobile already offers wired Nokia WH-201 headphones (not so widely available), so it isn’t strange that a successor popped up. Webshop MyTrendyPhone.eu already offers the Nokia WH-301, even though the headphones aren’t officially announced by HMD Global. 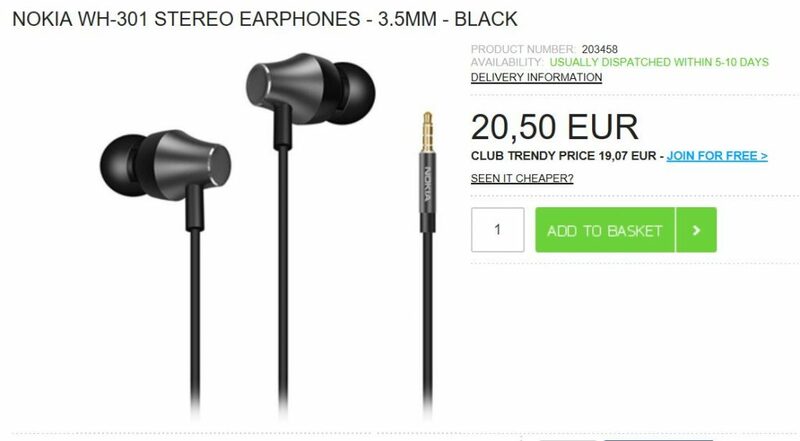 The price MTP asks for the headphones is 20 euros, which we can describe as affordable compared to the prices of Nokia Wireless headphones. We don’t know how good are they, but for 20 euros you cannot expect much quality. I had the Coloud Pop headphones (made in partnership with Nokia), that costed also around 20 euros, and they did their job nicely. On the published photo we can see a changed design with more aggressive lines and in-ear design. 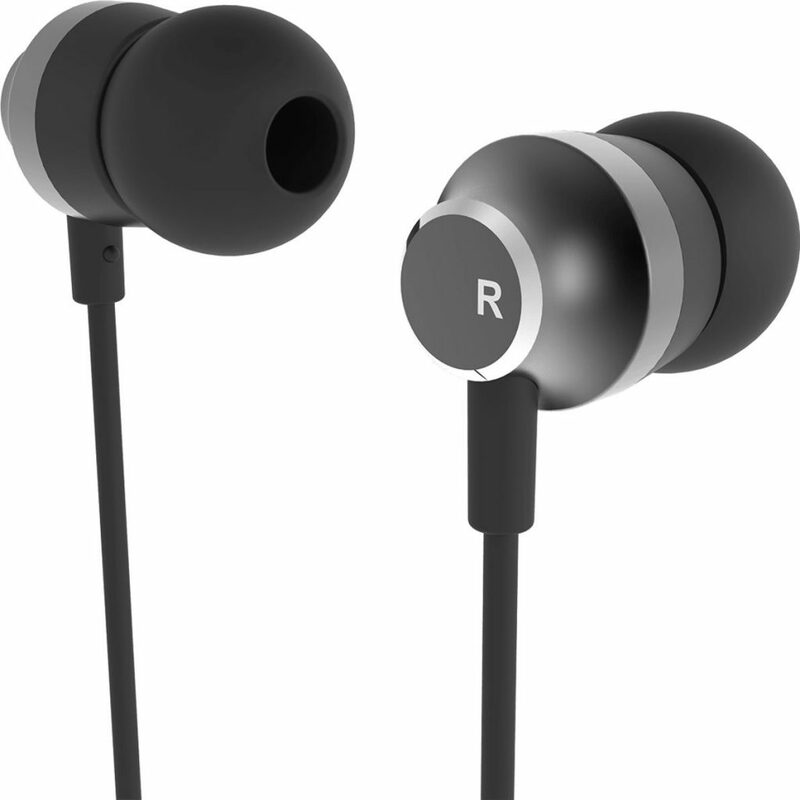 The headphones connect via the 3.5mm headphone jack and are described as “Specially designed for all Nokia phones that have a 3.5mm interface.” If you’re interested, you can check them at the already mentioned webshop HERE. Apart from headphones, we also know that HMD is working on two wireless chargers – the DT-10W and DT-501. Both chargers passed the WPC certification process, but are not officially announced. The only phone supporting wireless charging from HMD is the Nokia 8 Sirocco, so we can assume that some of the upcoming phones will have that feature too.